The pH paper that doesn't run! To maintain good health the body is constantly seeking to get rid of the excess acids that irritate the tissues and deplete them of minerals. One of the principal systems it uses for this purpose is the renal system (kidneys). The normal rate of acid excretion through the kidneys gives urine a pH that falls between 6.75 and 7.25. By testing the degree of acidity of the urine, you can determine whether your body is eliminating a normal quantity of acids. If the acid excretion rate is higher than normal, the urinary pH will be more acidic. 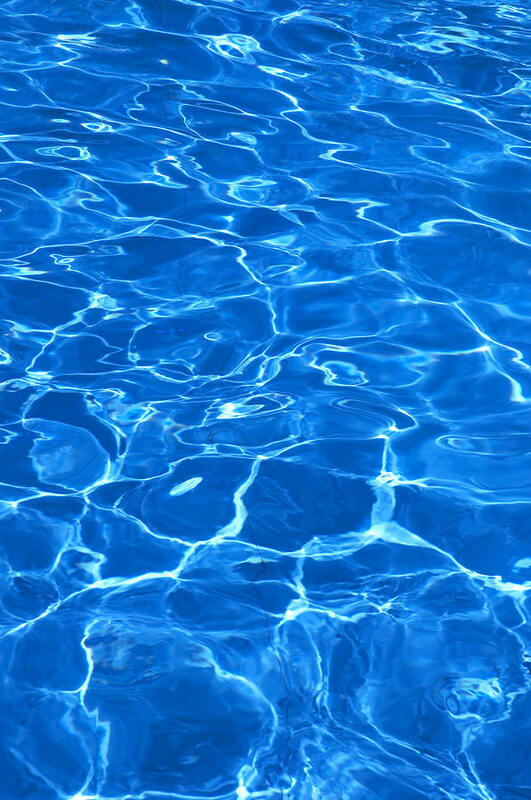 This low urinary pH is also an indication that the body is saturated and therefore in an acid state. This is where Alkaline Water, Alkaline pH booster drops, and an alkaline diet comes in. There is a strong correlation between the pH of the body's internal environment and that of the urine and saliva: urine and saliva become acidic when the body's internal environment becomes acidic. You can discover the pH of these fluids by using Alkalive™ pH Stix™. These pH test strips are made specifically to test saliva and urine, and are the most accurate and economical test strips on the market. pHion Alkalive™ pH Stix™ are unlike most pH test strips or pH papers on the market. Due to the narrow range in pH of these bodily fluids (generally 5.8 to 7.6) it is imperative that a pH test strip give a clear indication in small pH unit increments. Ours do. 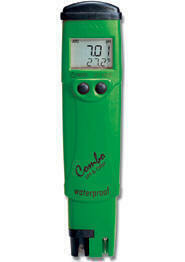 Our test strips give an indication in .25 pH unit increments, and test a range of 4.5 to 9.0. Plus, pH Stix use the double color indicator method, allowing for a more accurate determination of the pH value of what you are testing. Throw away the pH paper, and pick up the pH Stix. 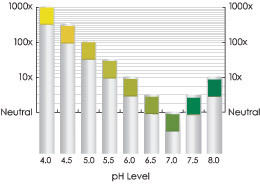 Compare pHion pH Stix™ with standard pH paper from rolls. pH Paper tends to bleed when it gets wet, making the determination of the correct color quite a challenge. 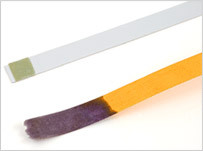 pH Stix are different- the reagent is affixed to a plastic strip. No paper, no bleeding, no mess; easy testing. Alkalive™ pH Stix™ - the clear choice. pHion Stix™ come packaged in a pack containing 80 pH test strips. We offer discounts for buying 3 or more. 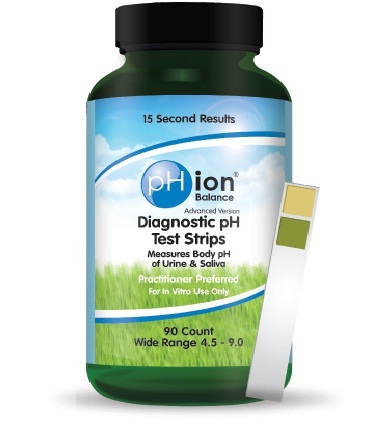 We also offer a small pack of 15 pH test strips as a sample. This is what Dr. Ted Baroody, author of Alkalize or Die has to say about pHion Stix™: "I get hundreds of calls for pH testing materials. pH testing is very complex. There are individual pH testing substances for everything, but they are very expensive. This particular strip is reasonably priced too. I have looked a long time and through many companies to find these quality pH strips. My experience with litmus pH paper strips has not been good. I do not recommend them."